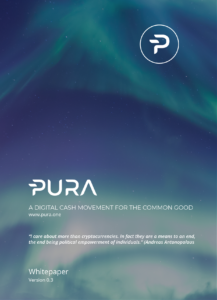 Payment solutions for PURA merchants worldwide - join the community! Payment solutions with state-of-the-art technology are more important than ever. Consequently the expansion of our network of PURA merchant partners is a major step for PURA! A new Merchants section on the website now lists all new partners and information on registering your business. Visit the website to find all the information on becoming a merchant partner. Read up on our InstaPay and PrivatePay or how to get a PURA ATM. To search for a shop already in the network, take a look at our merchants’ map. All merchants on the website accept PURA as means of payment. Do you want to become a merchant partner but are unsure? We realize that you may have further questions. We always enjoy hearing from you! So please do not hesitate getting in touch with us – our team will answer all your inquiries and help you to get you set up. Is there a plugin to implementate in WooCommerce Shop to pay with pura?